From Motor Age. 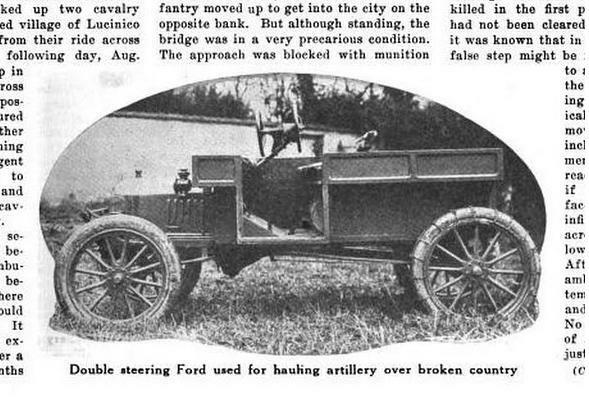 August 1917, a Ford used for transporting artillery material using front/back steering wheels. ....and very handy for those tight parking situations! That thing could be quite scary to drive a**backwards in a 'tactical retreat' situation ! !